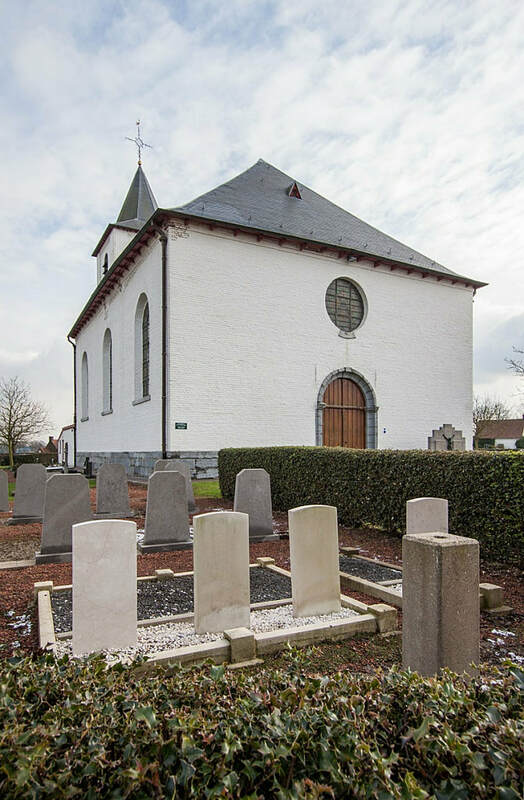 The village of Moregem is located west of the town of Oudenaarde off the N60. From the motorway E40/A10, which runs between Oostende and Brussels, turn off at junction 15 onto the N60, direction Oudenaarde. Follow this road to the junction with N459 at Oudenaarde and turn onto the N459, direction Oudenaarde. Take the second turning right into Kortrijkstraat and follow this road to the first junction which is before the railway. Turn right into Kortrijkseheerweg and follow this road to Moregem, the church is in the village centre. 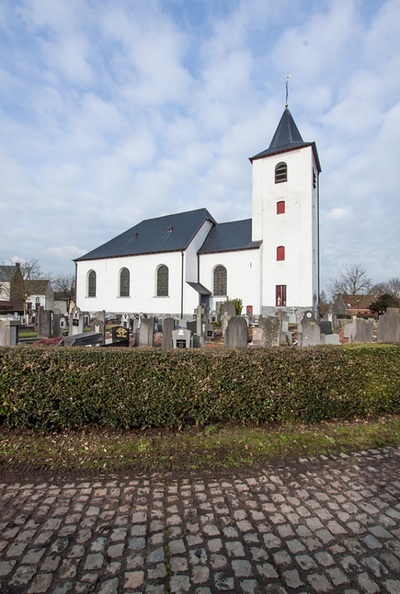 The graves are located to the left of the church. 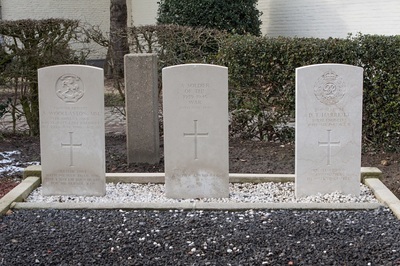 Moregem Churchyard contains two Commonwealth burials of the Second World War. 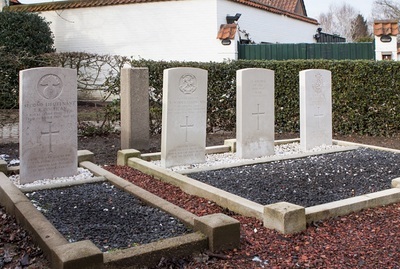 Nearby, there is one grave from the First World War. Second Lieutenant Thomas Reginald Coughlan, 3rd Bn. Royal Irish Fusiliers, died 24th October 1918, aged 26. 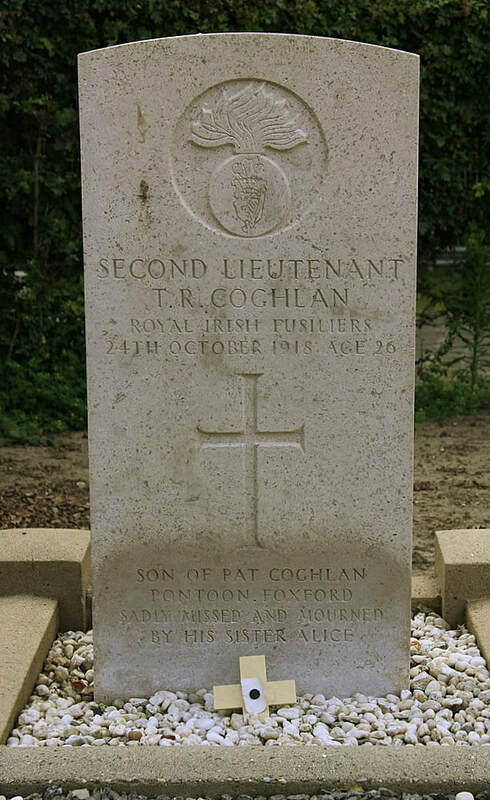 Son of the late P. J. and Mrs. Coghlan, of Poutoon, Foxford, Co. Mayo. 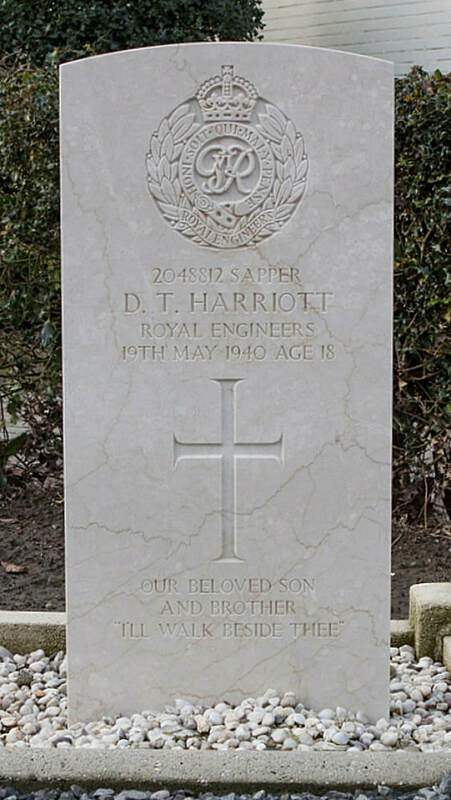 2048812 Sapper Dennis Thomas Harriott, 210 Field Coy. Royal Engineers, died 19th May 1940, aged 18. 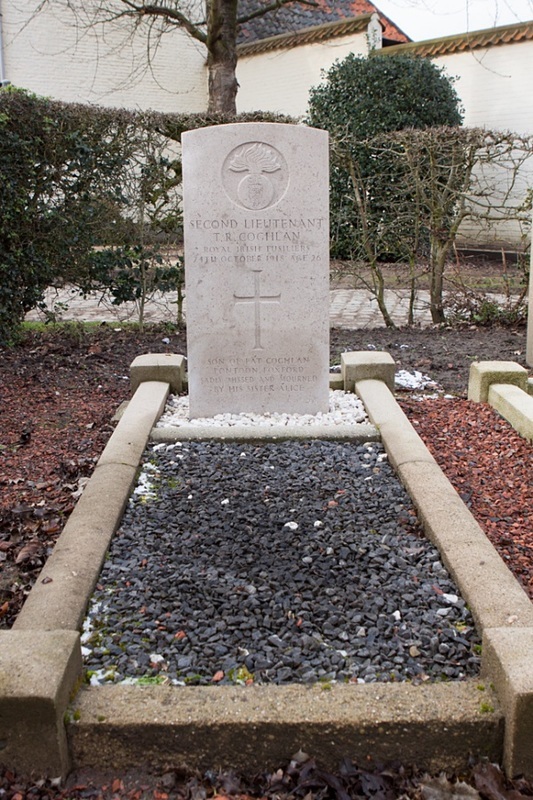 Son of Charles and Emily Harriott, of Seaford, Sussex. 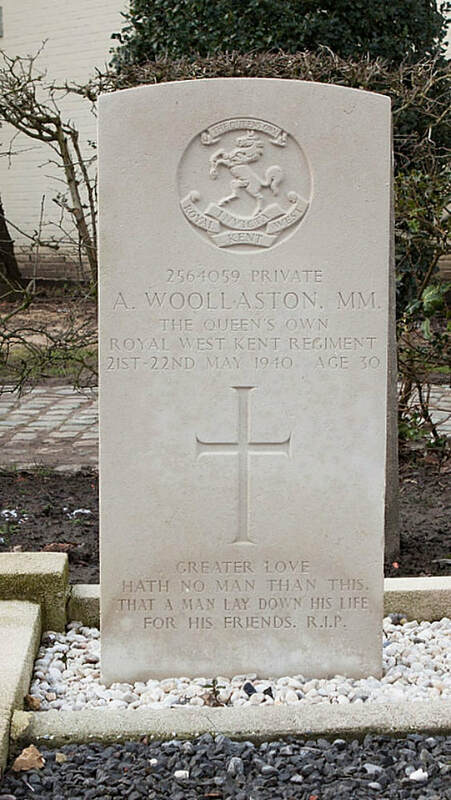 2564059 Private Arthur Woollaston M. C., 4th Bn. Queen's Own Royal West Kent Regiment, died between 21st May 1940 and 22nd May 1940, aged 30. Son of Frederick William and Emma Woollaston, of Birmingham; husband of Irene Rose Woollaston, of Great Barr, Birmingham.